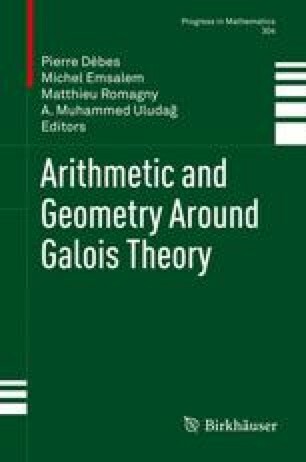 The issue of extending a given Galois group is conveniently expressed in terms of embedding problems. If the kernel is an abelian group, a natural method, due to Serre, reduces the problem to the computation of an étale cohomology group, that can in turn be carried out thanks to Grothendieck-Ogg-Shafarevich formula. After introducing these tools, we give two applications to fundamental groups of curves. Mathematics Subject Classification (2010). 14F35, 14H99, 14H30.